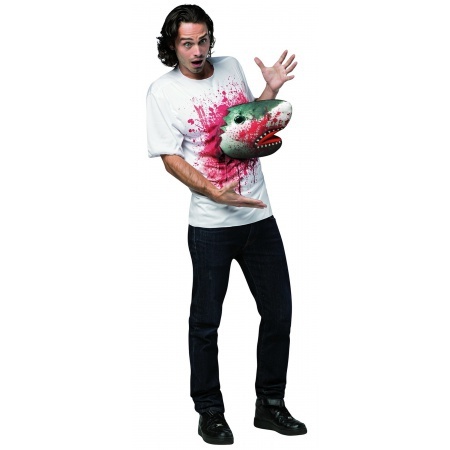 This crazy Sharknado costume includes one adult size white T shirt with protruding shark. The Sharknado costume comes in adult size One Size. This Sharknado costume is an officially licensed Sharknado costume. 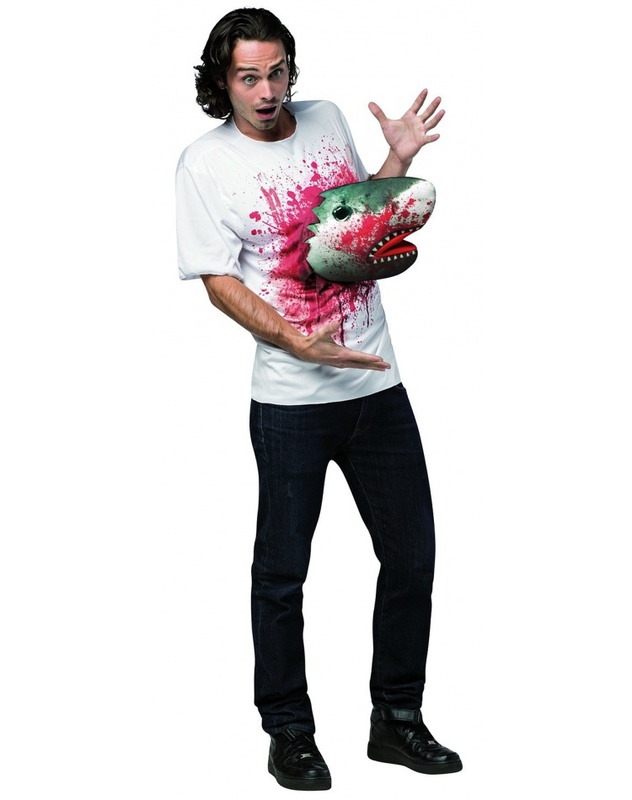 The pants are not included with this Sharknado costume shirt for adults.